In the world today there are 36 million blogs (20th April), a number that doubles every six months. On average, a new blog is created each second. The data offered by the blogs adder Technorati (www.technorati.com), states that it scans daily 1.2 million “posts” or annotations, some 50,000 each hour. The phenomenon of blogs continues to increase with the passing of the months. The “blogosphere” is sixty times larger than it was three years ago. Simply put, a weblog, or blog, is a web site easily created through free software in a few minutes. There authors write on themes that interest them and in which they see themselves as experts. There are distinct types: from personal diaries to those written by specialists in business, technology, cinema, sport, politics, humour, science and as well there mare many written by journalists and professionals in public relations. In the weblogs, communication is bidirectional. Each visitor can “post” comments, expand or correct the information, generating true debates. Today blogs are a real social phenomenon that has been introduced also in the world of large companies, representing a change and a new tool for corporative communication. 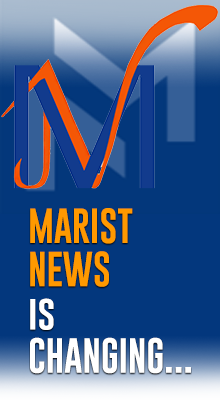 The General Administration’s Communications Committee thinks that the Marist Institute, already well represented on the web, cannot remain unaware of the growing phenomenon of blogs and has decided to create a MARIST BLOG that is now up. 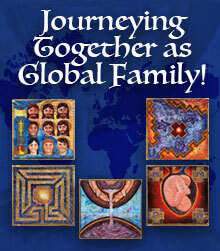 Access to this blog will be through www.champagnat.org. To begin with, some members of the General Administration will share their reflections and open a dialogue that will be fruitful if we can count on your collaboration. Can we? At the entrance to the College, there is a beautiful image of Mary. In one hand, she is supporting Jesus and shows him to us as if she is saying: “Do whatever he tells you!” With her other hand open, she is welcoming us. During the month of May, there have always been flowers and candles at her feet. Teachers, students and people from the parish have come to entrust themselves to her. In the afternoon, before sunset, I like to go to the image of Mary and sit beside her. I look at her, tell her my stories, all that I have experienced during the day, the joys and the sorrows, I entrust all the people I love to her, I look at Mary, but I allow myself to be watched over by her. To allow your self to be watched over by the Good Mother is an invitation to live out her attitudes: listening, welcoming, accompanying, keeping the events of life in the heart and presenting them to Jesus. Soon the month of May will be over, it is always the time to allow yourself to be watched over by Mary and to say to her: thank you, Mother, for your discreet presence in our life, because you generate confidence, because you invite us to follow Jesus, because you are always there with your arms open. 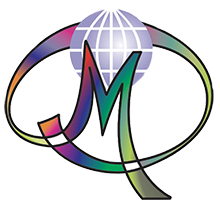 At Château-Richer, Canada, a magnificent Marial exposition was inaugurated at the beginning of the month of Mary on the 1st May 2006. This exposition is directed at anyone interested in Mary and Marist patrimony. It will last until the 15th August of this year. The initiator of this exposition is none other than Brother Paul-André Lavoie, whose artistic taste and his talents as an organiser are well known. A missionary for many years in Cameroon, Paul-André is presently responsible for Marist patrimony in our Province. He voluntarily acts as guide and information person for all the groups who come to this rather exceptional exposition. The theme chosen for this Marial Exposition is “Mary, through the ages and art”. Looking at numerous specimens, one can see the representation of Mary in the statuary and iconography (from the icon of Our Lady of the Gate to Our Lady of Availability). One can have an idea of the evolution of Marial worship through the centuries, in the Byzantine liturgy and notably with our orthodox brothers. As to Marial thought, one can note this in the various Marial writings in books or magazines. One can consult, for example, all the Marial albums, artistically illustrated, of our famous Mariologist Roger Brien. These albums were circulated around the Marial year 1954. Obviously, all of our own Marist Marial patrimony (objects or writings) also finds its place in this temporary summer exposition.